An intensive night-time facial oil, Cell Repair Night Oil sinks in almost instantly (no stained pillowcases! ), to infuse skin with much-needed moisture and swiftly dispel dullness while you slumber. Soothing and stress-relieving, the fragrant blend of essential extracts makes this a relaxing final step to your evening skin care ritual – calming anxieties to ease you towards sleep – and ‘feeding’ your complexion with the vitamins and nutrients it needs to recapture its youthful strength, elasticity and resilience. Starring neroli (to quell worries), lavender (to calm and comfort), rose (to protect and condition) and mandarin (to uplift), no nightstand should be without this gorgeous, healing and balancing potion. And like all things Aurelia Probiotic Skincare, this is completely free from synthetic fragrances, parabens, mineral oils, silicones, sulphates, propylene glycol, phthalates, GMO, PEGs, TEA and DEA – and is certified ‘Cruelty Free’. 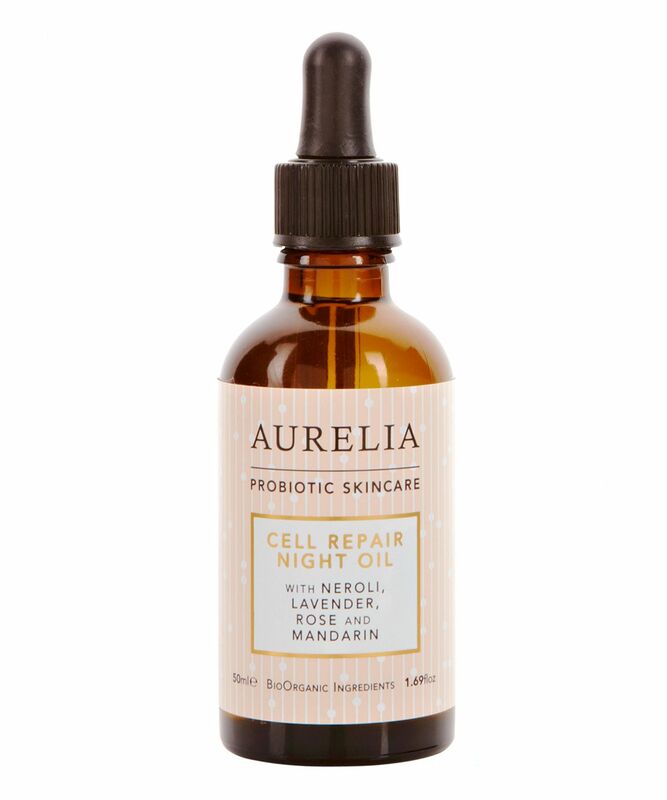 A rich, skin-rehabilitative treatment, Aurelia Probiotic Skincare’s Cell Repair Night Oil works in synergy with skin’s own overnight repair processes – accelerating cellular regeneration with a powerful blend of 100% pure BioOrganic plant and flower essences. A silky, delicately scented elixir, this replenishing oil is almost instantly absorbed – infusing skin with precious moisture and a cocktail of conditioning nutrients – so that you wake up looking dewy-skinned and radiant. With Kalahari oil (a source of skin-essential fatty acids), alongside Mongongo oil and Kigelia to restructure, regenerate, firm and tone, this instantly quenches skin’s thirst whilst fortifying its protective barrier to keep the ‘good stuff’ in, and ‘bad stuff’ (such as ageing free radicals and pollutants) out. The perfect follow up to Aurelia Probiotic Skincare’s Revitalise & Glow Serum. Pipette two drops into the palms of your hands, relax, inhale and massage in to your face, neck and décolletage using fingertips. Use after applying Aurelia's Revitalise & Glow Serum to optimise the probiotic benefits. For normal to combination skin, use as a treatment three times a week. For dry skin use daily and for very dry skin use daily and apply underneath Aurelia's Cell Revitalise Night Moisturiser for even deeper hydration. I love this product. I purchased this after I using the Miracle Cleanser a few times and falling in love with it. I have sensitive combination skin. I travel and spend a lot of time in air conditioning and this product helps manage my manic skin, reducing redness, adding hydration and basically making it look dreamy the next day. I use it three times a week as a night time treatment. Depending on how dehydrated my skin is I might layer a night time moisture mask over the top for extra hydration. In the hotter months I can use it without a moisturiser and my skin still feels gorgeous in the morning. This one bottle lasts a long time and smells fabulous. The scent is gorgeous and calming. Will most definitely repurchase. So glad I decided to splurge on this as it turned out to be such a surprising treat. Wasn't a fan of the smell initially as I prefer even more calming, herbaceous scents but it grew on me eventually. I use this as a serum and it smoothes out great, skin feels plump, soft and hydrated. I noticed my skin also looking a tad brighter the next day. I had assumed it was 30ml so was pleasantly surprised that it was more than that - bound to last for a long time and the cost per use is equivalent to some of the high end serums. I hummed and hawed before I purchased this oil recently. I have bought many "popular" oils, but few have impressed me. Aurelia Night Oil is one of the stars! I've used it exclusively since I bought this because it has become one of my favourite (if not THE favourite) night oil/moisturizer. I use about 4 drops for my entire face and it hydrates, plumps, and soothes. I find many oils are not as hydrating as they claim to be. I have to often supplement with a cream. But Aurelia stands well on its own. I take good care of my skin, so I don't expect to see any dramatic changes. But I can certainly say that I like the way my face feels the morning after I use Aurelia. Just that bit of extra radiance. I have dry and often irritated skin. But when I combine the Luna Sleeping Night Oil (first) with the Aurelia Cell Repair Night Oil (second) my skin is so much better the next day. Especially on hot days, the combination of sunscreen and sweat leaves my skin very irritated. These two oils help to calm down everything very quickly and the smell is gorgeous. This lovely product is a mixture of oils, chosen for their different benefit of firming, hydrating and toning, and well as helping to prevent the effects of ageing. I found that using just a few drops a few minutes before moisurising left my skin more supple, hydrated, more healthy and radiant, and with slightly reduced redness. It sinks into the skin immediately, and does its magical work overnight. This night oil is truly amazing. It will change the appearance of your decollete over night. After one use only I've noticed the improvement. Skin looks more even and younger. Highly recommended. I normally good with any scents but this one...is the most overwhelming I ever had in any product. I think it is too much as it gives me a headache from it. Although the serum feels very luxurious and nourishing. I hope I will get used to it despite the smell. My skin has been looking good since using the product and it smells great. The downside is that I travel often and the rubber on the top of the dropper doesn't tighten properly and is breaking, so the oil drips out and is wasted while dripping all over my things. 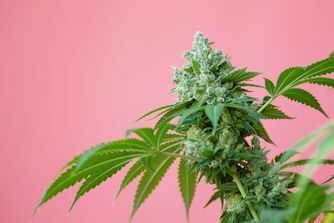 This is an amazing oil. Glides on, smells amazing and excellent value. The bottle will last a long time. The skin feels hydrated, soft and clear the next day. I would use this every night but I do alternate with other night treats. This is definitely a treat to use. Well, I bought this on a whim and am so glad that I did. The oil is beautifully packaged! I read the instructions which said to use a couple of drops each evening and apply to cleansed skin. The only problem for me is that the perfume is so beautiful, that just a couple of drops isn't enough. I use this day and night and have also dropped one drop onto my pillow as the perfume is so nice. It's a restful, feel good perfume. But what's even nicer, is that my skin feels great it's soft and my complexion looking more radiant, when before it was dry and lacking in life. Oh to have smaller sizes for travelling would be sheer bliss, making any plane journey a more enjoyable time. So, please, this is a great product, I love it and it really has made a difference! Aurelia produce some of the most gorgeous products on the planet and this doesn't fall short of perfection. My overnight oil of choice and fantastic value for money. I now have 3 friends already hooked with varying skin types and concerns. It sinks in beautifully and smells gorgeous. In the morning my skin is radiant and perfectly hydrated. It takes something special for other people to notice so much of a difference in my skin after only a couple of uses and comment regularly. Highly recommend!